I am constantly looking for new ways to improve my soil and enhance my gardening experience. I also prefer to use all natural elements. And cheap frugal. Don’t forget about frugal. That is where Grocery Store Gardening comes into play. With Grocery Gardening, you often don’t need to look any further than the pantry or fridge. Its great finding uses for things that you already have on hard or better yet, things you would have otherwise disposed of. Rotten eggs will repel deer better than anything you find on the market. Mix five whole eggs in five quarts of water and drench plants with the solution plus you can bury a hard-boiled egg 6-8″ deep in the center of your cucumber hill and it will feed your plant all season long. Banana peels are an amazing amendment for roses. They contain the potassium, sulfur, calcium, and magnesium that roses love. 1/2 cup of powdered non-fat milk mixed with 1/2 cup of Epsom salts, 1 tbsp. of baking soda, and 3 cups of compost will ward off tomato blight. 1 cup of sour milk, 2 tbsp. of flour, and 1 quart of warm water misted on your plant will deter whiteflies. 1 shot of bourbon, scotch, vodka or gin mixed in a gallon of water can revive the soil of your potted plants. Water in the usual quantity with the liquor-laced solution. Speeds up composting, so dump the partial empties left around into your compost pile. Protect spring bulbs from rodents like squirrels and chipmunks digging them up and eating them. Mix cayenne pepper into the soil you cover the bulbs with. Mix 1/8 cup sugar with your tiny seeds before sowing. It will help even the amount of seeds that drop and the sugar will help amend the soil. Get more seed germination than every before. Steep 1 tea bag in a gallon of water. Place seeds between two paper towels and moisten towels with the highly diluted tea. Place in fridge overnight. To reduce stress on transplants place a handful of dry oatmeal into the hole before adding the plant. Do you have a problem with rabbits, squirrels or chipmunks chewing on your veggies? Soak corn cobs in white vinegar for a couple of hours or even overnight. Place the corn cobs strategically around your garden. Re-soak them every couple of weeks and the critters will stay away. Tomatoes and peppers are prone to magnesium deficiency towards the end of growing season and just before harvest. This deficiency displays as yellow and brittle leaves and stems. Water them with 1-2 tbsp. of Epsom salt in 1 gallon of water every two weeks. Want an insecticide that is safer and works faster than almost anything on the market? Black peppercorns kill and repel a large variety of pests. Most notably pine sawflies and the eastern tent caterpillar. Is your cat (or maybe your neighbor’s cat) attempting to use your garden as one big litter box? Coffee grounds and citrus peels sprinkled on the soil will repel cats. As an added bonus, the citrus peel will burn the legs of ants and both “groceries” do wonders at enriching your soil as they break down. These are a few of my favorite grocery gardening books. Make sure you check out the comments for even more suggestions from our readers. 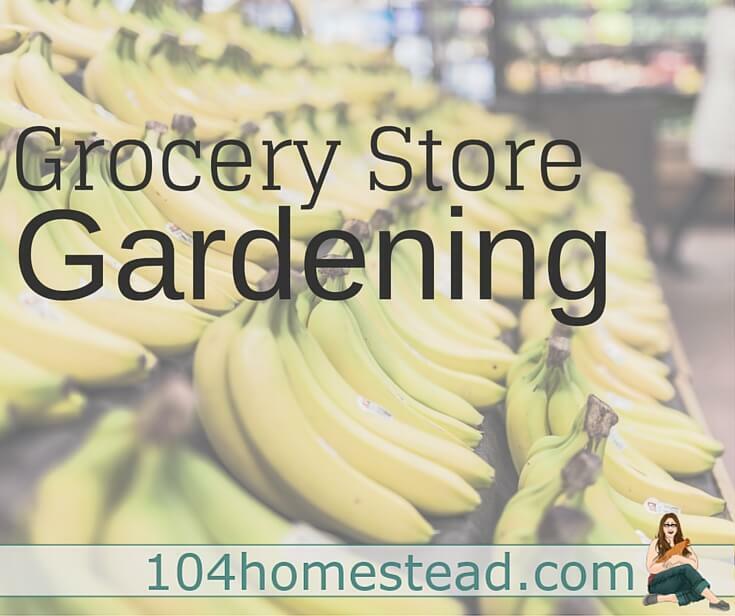 Do you have a grocery gardening book you enjoy? Comment below. Do you have any grocery tips that work well in your gardens? Be sure to share your secrets in the comments below. Have been an organic gardener for over 40 years, and have been “making” our own soil for at least that long. Love using the “waste” from the neighborhood in our raised beds and around the fruit trees. Have started 3 community gardens, so far with 2 more planned for 2016. We use straight white vinegar (@ $3/gallon, from the discount stores) as our herbicide, both in the garden and around the house, in the driveway, sidewalks, around the flowerbeds, as an edger, etc. Also use as an edger, instead of a gas or electric powered, to maintain a clean edge around pavers, mailbox, joints in pavement, etc. Cheap, clean, organic and EFFECTIVE if applied properly. No need for other additives. Thanks for these tips! I especially like the ones to repel critters. Can’t wait to try some of these this season, I especially have a problem with squirrels. I’ll have to refer back to this next year… my “garden” isn’t doing so hot! I have a brown thumb it seems! Thanks for sharing on Green Thumb Thursday and we hope you’ll be back tomorrow! Didn’t even half of those tips – great stuff! 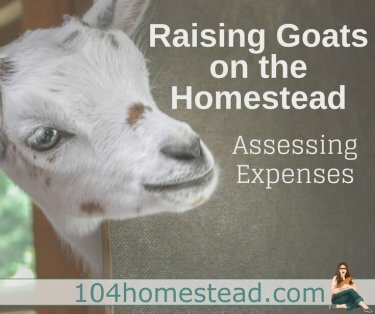 I pinned this to my Children’s Garden/Homesteading board! Great tips and ideas! Love finding ways to use stuff we normally just discard. I mix my coffee grinds with crushed egg shells, the worms like it, the slugs don’t like it and both are leftovers. Also I cook the shells (just at a low heat – while the oven comes to heat). They can be fed to the chooks for extra calcium too. I do that as well Leeanne. I hoarded shells all winter and stuck them in the old coffee grinder last week. I have an entire tupperware full of ground shells which are the best thing when planting tomatoes. I just put a bit in the bottom of the hole when I add the transplants. Whatever is left over after planting tomatoes will go right into the compost. Thanks for spreading the word, there really isn’t any good reason to buy bottles of chemical fertilizers and pesticides with solutions like these!! And I agree about Jerry Bakers book, I have been using his ideas for over 15 years with good success! Great tips here, thank you, Jess! Pinning. Get the book Backyard Problem Solver by Jerry Baker he has TONS of information like this and also get Carrots Love Tomatoes & Roses Love Garlic by Louise Roitte-wonderful information in both books. Garlic is also wonderful to plant around tomatoes and many other crops in the garden. When you plant your potatoes-throw in a banana peel. Works the same as with a rose bush. I save our banana peel in a 1 gallon freezer bag in the freezer and then add them to many things when we plant in the spring. Where we live the ground hasnt been gardened in like 20 years and we cant afford to ‘fix’ all our gardening area so I try to amend around each plant. Eventually we will have wonderful ground here. I will have to check out those books. I see a library trip scheduled for later today. Fascinating!I had never heard of most of these before! What great tips these are! Who knew? Not me! Thanks! Pinning this to my Need to Know board. I have a friend that swears by coffee grounds added to the soil. He does it every year. I tried it briefly and didn’t see any great improvement! I use coffee grounds in my compost. I can’t say it makes a huge difference, but it doesn’t hurt and I’ve got loads on hand.